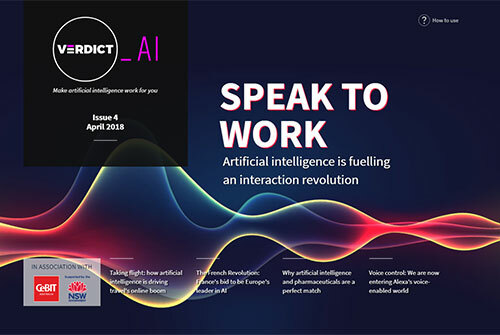 AI is fuelling a voice interaction revolution, how artificial intelligence is driving travel’s online boom, France’s bid to be Europe’s AI leader, why AI and pharmaceuticals are a perfect match and much more. 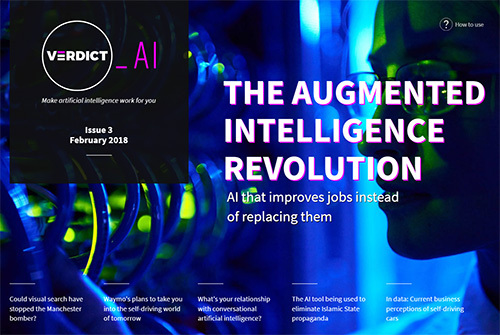 AI that improves jobs instead of replacing them, could visual search have stopped the Manchester bomber? Waymo’s plans for self-driving cars and much more. 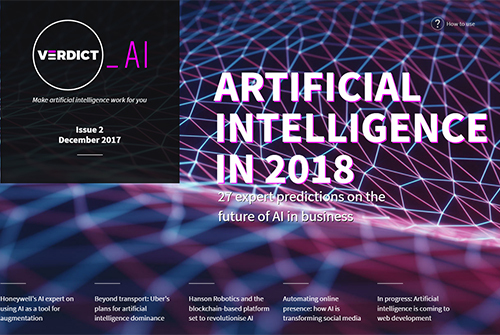 How virtual reality is transforming presentations and training, Google Glass’ return for business, hackathons in the insurance industry, the emerging low-Earth orbit economy and much more. 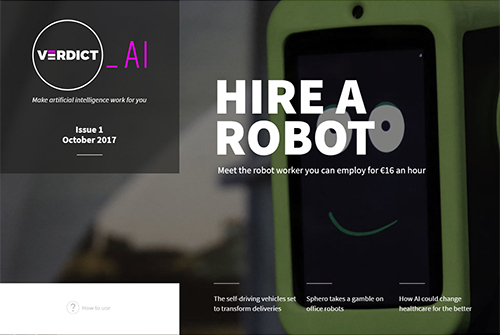 Meet the robot worker you can employ for €16 an hour, the self-driving vehicles set to transform deliveries, Sphero takes a gamble on office robots and how AI could change healthcare for the better.